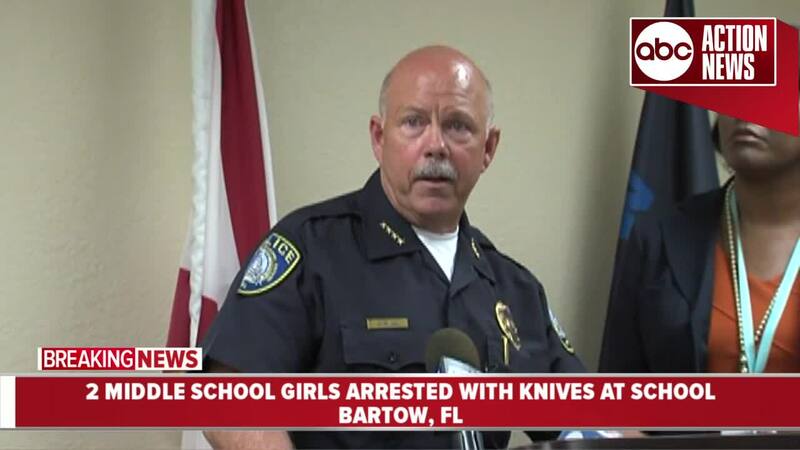 The 6th and 7th-grade girls attend Bartow Middle Schol in Bartow, Florida, police say. At 1:30 p.m. Tuesday, the Bartow Police School Resource Officer assigned to the school was summoned to the principal's office in reference to an armed juvenile complaint. 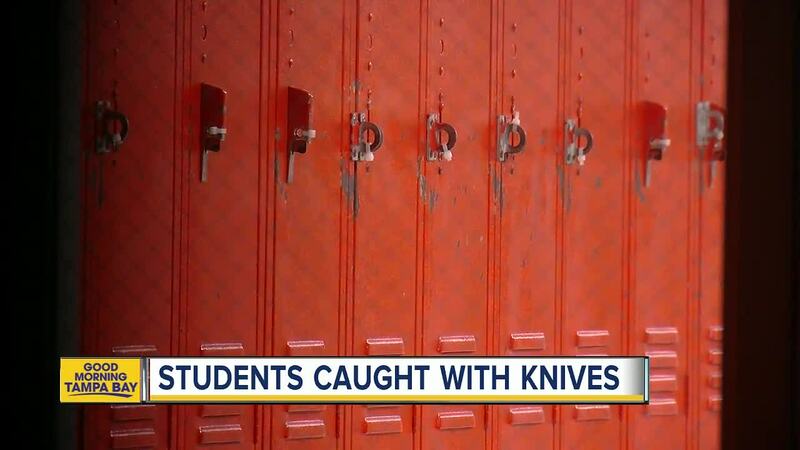 "Fortunately, they were intercepted by school staff hiding in a bathroom during class time prior to carrying out their plans," Bartow Police said in a press release. 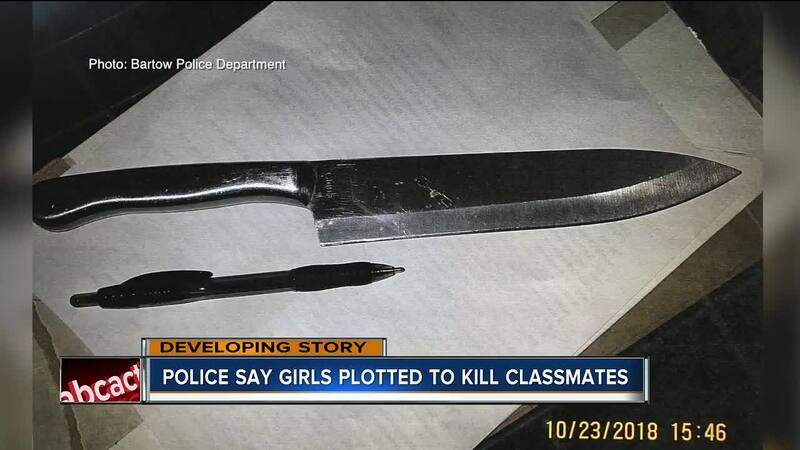 The last message sent between the girls stated, "Today is health lessens thank Satan we're doing this in a bit," according to an arrest report. 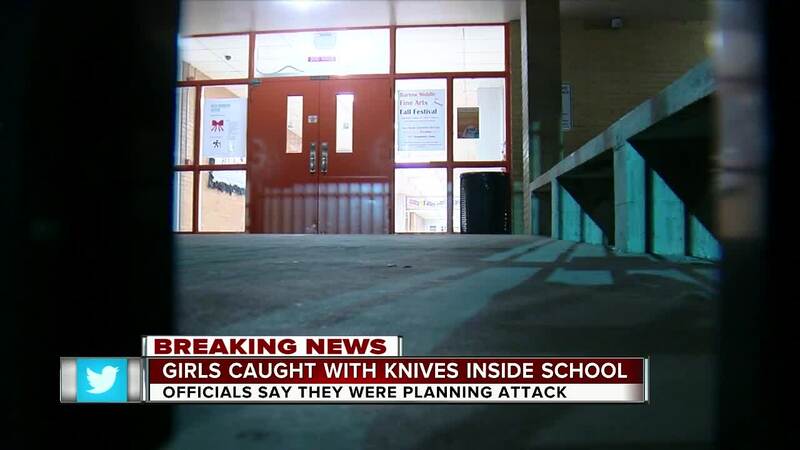 When asked about motivation, the girls reportedly told police that they were Satan worshipers. According to police, the girls planned to drink their victims’ blood out of the goblet they were found with. 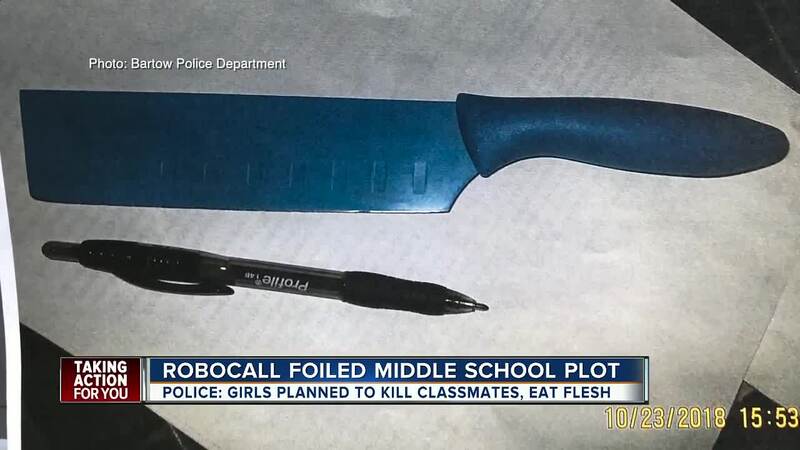 They also discussed eating their victims' flesh and leaving body parts at the school's entrance before killing themselves. "Killing all of these students was in hopes it would make them worse sinners ensuring that after they committed suicide ... (they) would go to hell so they could be with Satan," the arrest affidavit reads. "We understand this news can be upsetting. 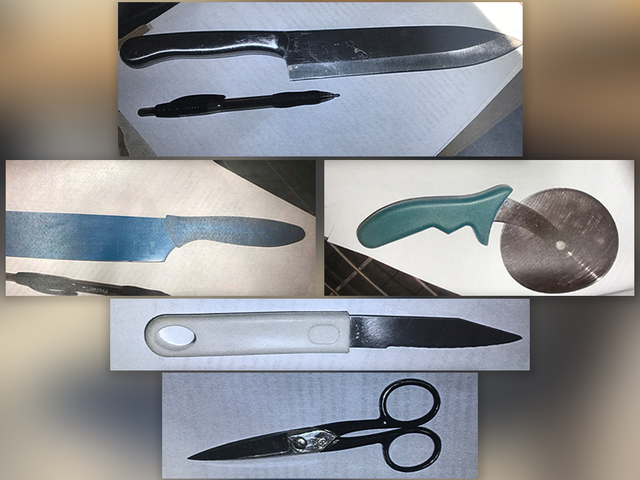 A team of counselors is available at the school to assist any employees and students," the school said in a release to families of students following news of the arrests.